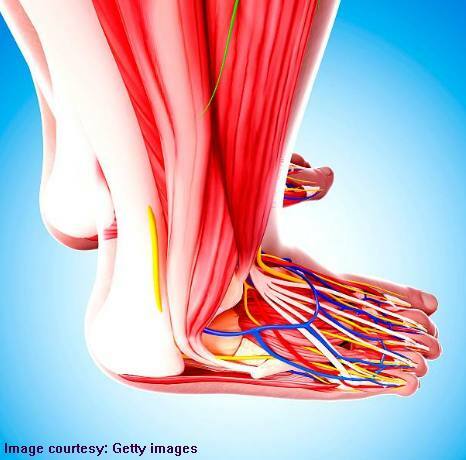 Surgery for Achilles rupture is associated with a decreased risk for re-rupture - but an increased risk for complications - according to a meta-analysis in The BMJ. The analysis included 10 randomized trials and 19 observational studies in which nearly 16,000 patients underwent surgery for Achilles rupture or received nonoperative treatment. Re-rupture occurred in 2.3% of patients in the operative group versus 3.9% in the nonoperative group. Complications, meanwhile, occurred in 4.9% versus 1.6%, respectively. The most common complication with surgery was infection; the most common with nonoperative treatment was deep-venous thrombosis. Return to sports or work did not seem to differ between the groups. Editorialists say, "The clinical relevance [of the differences] is questionable." They note that "non-operative management ... is apparently cheaper and avoids surgical complications," but "less invasive surgical repair techniques performed under local anaesthesia in outpatients can be safe and effective." Therefore, "a personalized approach incorporating fully informed shared decision making remains essential." "This meta-analysis shows that operative treatment of Achilles tendon ruptures reduces the risk of re-rupture compared with nonoperative treatment. However, re-rupture rates are low and differences between treatment groups are small. Operative treatment results in a higher risk of other complications. The final decision on the management of acute Achilles tendon ruptures should be based on patient specific factors and shared decision making. This review emphasises the potential benefits of adding high quality observational studies in meta-analyses for the evaluation of objective outcome measures after surgical treatment", the authors conclude in the research document. Surgery or conservative Mx for Achilles tendon rupture?